Tim Minchin is performing tomorrow night here in Seattle and luckily my husband and I discovered him in time to get tickets. He makes me think, makes me laugh, and makes me tell other people about him. He’s mastered his craft! Most of the videos I have seen so far have been of live performances at various venues. But this is a neat beat poem animated graphic novel style. I really liked it. Enjoy! Community Power Works for Home plans to upgrade 2,000 homes in its service area over the next two years. 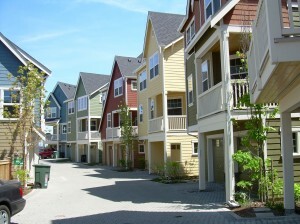 The project serves the central and southeast neighborhoods of Seattle, areas which have historically been underserved by energy efficiency programs. It will give residents of those neighborhoods an affordable way to make their homes more comfortable and healthy while making energy-efficient upgrades to their homes. Community Power Works for Home is part of a $20 million American Recovery and Reinvestment Act grant awarded through the Department of Energy’s BetterBuildings program. Over a two-year period, Community Power Works is leveraging these federal dollars to produce an additional $25 million in economic activity in the region from state funding, utility rebates, and homeowner investments in their homes. All of this investment will put a charge into a local green industry to preserve and create hundreds of living–‐wage jobs, help homeowners save energy, and reduce the City’s carbon footprint. A deeply discounted home energy assessment. Thanks to incentives from Seattle City Light, this assessment costs only $95 – a $305 savings. Certified contractors to do the work. Rebates and incentives to bring down the cost of your upgrade by up to $3,000. Affordable loans with easy terms to qualify. Energy Experts to help you every step of the way and make sure the job is done right. 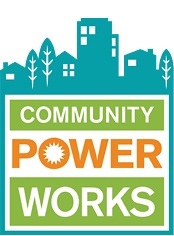 Community Power Works is offered by the City of Seattle with funding provided by the U.S. Department of Energy. The goal of the program is to achieve energy savings of at least 15 percent in each home served. The special incentives and financing are available only to projects that meet or exceed this savings level. See if your house is inside the coverage area – map here. What all of this means is that you need to jump on this opportunity if you are within the area served. Not only will you save money on your utility bills (I know you keep hearing this over and over) but what it ALSO does it make your home more sell-able in the future. I can talk about this all day. If you’re interested in learning more about this whole concept of a “house as a building system” and nothing more, and how to improve your current home, please talk to me. Send an email using the button on the right, message on Facebook, or call me at 206.686.HOME (4663). Thanks! and have a wonderful weekend! How much insulation do I need in the attic of my Seattle home? I was asked to write a 200-300 word response to the question, “How much insulation do I need in the attic of my Seattle home?” This comes in at 298 words. I had to keep editing it down so if I had my own way it would have more information, but this is all the words that would fit the space! As a homeowner you might wonder where do I start with this whole attic insulation project? What type of insulation should I use? How much do I need? In Seattle it is recommended that your total insulation obtain a factor of R-38 to R-49 (38 if you are using oil or gas or a heat pump with forced air heating, 49 if you are using electric heat like a baseboard or forced air register). The “R” means a measure of insulating power or “ability to resist the flow of heat”. You can choose between roll out insulation (batts can be made of fiberglass of cotton from recycled denim), or “blown in” insulation, which is loose (cellulose, fiberglass, or rock wool) and can be purchased by the bag. To know how much to add determine how much you currently have. Each inch in depth of your current insulation corresponds to an R factor depending on the material it is made of. Multiply the factor number to the number of inches in depth currently in place, and then make up the difference to reach 38-49 with new insulation. 3) Then you just need to buy enough material to cover the whole attic! *Be sure to check the label for batt width (if you have joists), and R-value for the material. If your attic is constructed so there isn’t enough space or access to put in the full amount you calculated, just add insulation where you can. Be sure to wear eye protection, gloves, and long sleeves! And maybe get some help! Satirical rap about the troubles we all find in the Whole Foods parking lot. There’s a reason why summer time helps sell your home – your yard is looking at its best. Curb appeal makes so much difference, you really can’t ignore it. “Outdoor living spaces” have been a huge trend in the last 5 years. During recession time families have spent more time at home “cocooning”, so have invested time and money on making their homes and outdoors spaces more enjoyable. An added green bonus: If you keep your gardening spaces and lawn pesticide free, this is really a selling point for families with children and pets, since lawn fertilizers and weed killers and bare feet/paws really don’t mix. There is an article in today’s Realty Times that gives some more Summertime Selling Tips. If you are in the Seattle area and are looking to buy or sell a home, or RENT and need to move, please contact me at 206.686.HOME (4663) for a more personalized search experience. SW Cycle Court in the Built Green Certified neighborhood of High Point (in West Seattle) - is reminscent of a beachside village retreat. If you’re like many sellers, listing your home for sale creates a challenge to keep the home show-ready at all times. That can be difficult enough.